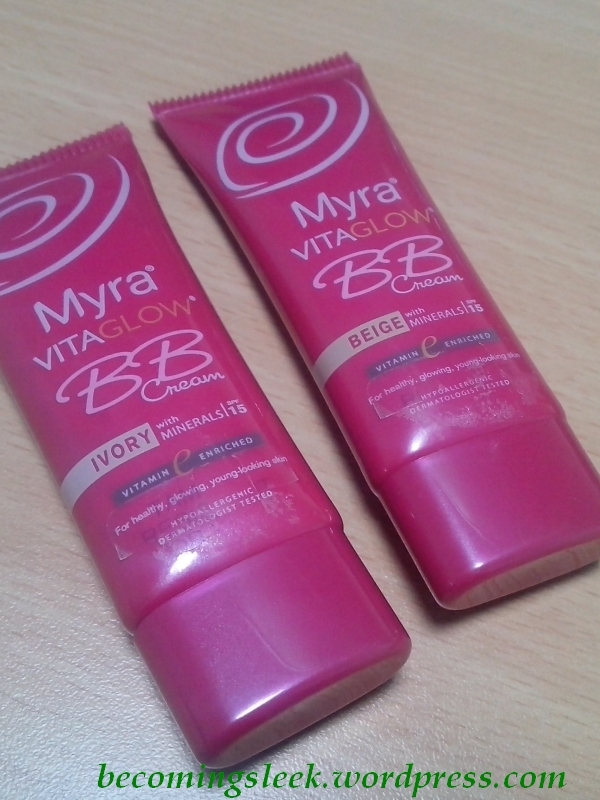 Myra recently released their own version of BB cream, called Myra VitaGlow BB Cream. It comes in two shades, Ivory (the lighter color) and Beige (the slightly darker one). The tube is very tiny, and contains only 20ml of product. Standard BB cream tubes contain 30-35ml. You can use it as concealer. It also has sunscreen (SPF15). At the back of the tube you will see the list of ingredients, as well as instructions for use and a few of the skincare benefits mentioned above. As I said above, the Ivory shade is lighter while the Beige shade is a little darker than Ivory. Check them out side by side here on my skin. Ivory is on the left, Beige on the right. And here they are spread out on my skin. As you can see, neither of them are my shade exactly. What I do is that I mix the two shades to create an intermediate shade which I think suits me better than either of them. Here they are blended out. 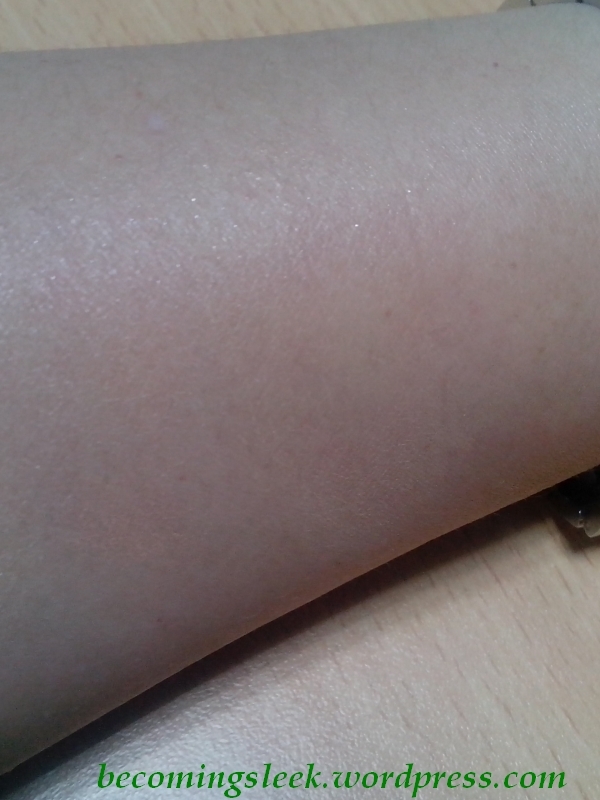 You can see some shimmers on the upper part of my arm. 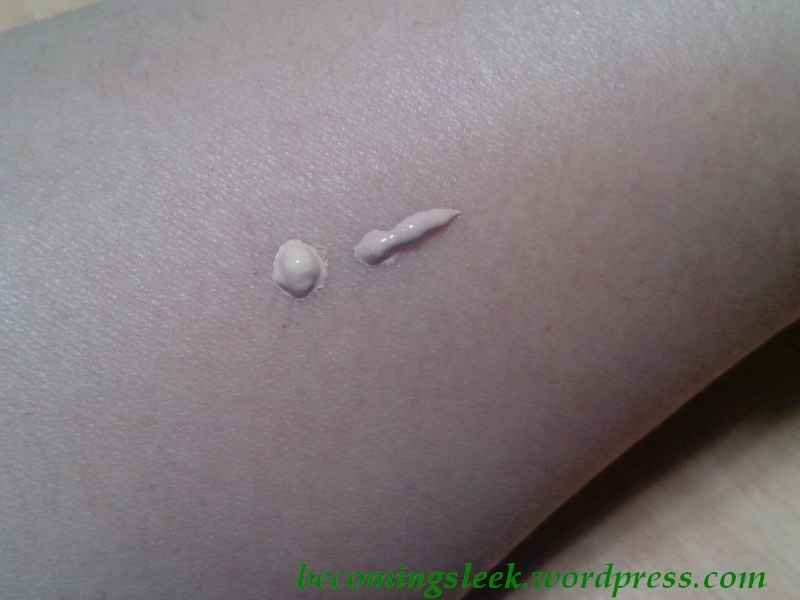 This is what the “glow” part of the BB cream is. Thankfully it doesn’t look so bad on my face once it’s properly blended out. In this look I used this intermediate shade as base. 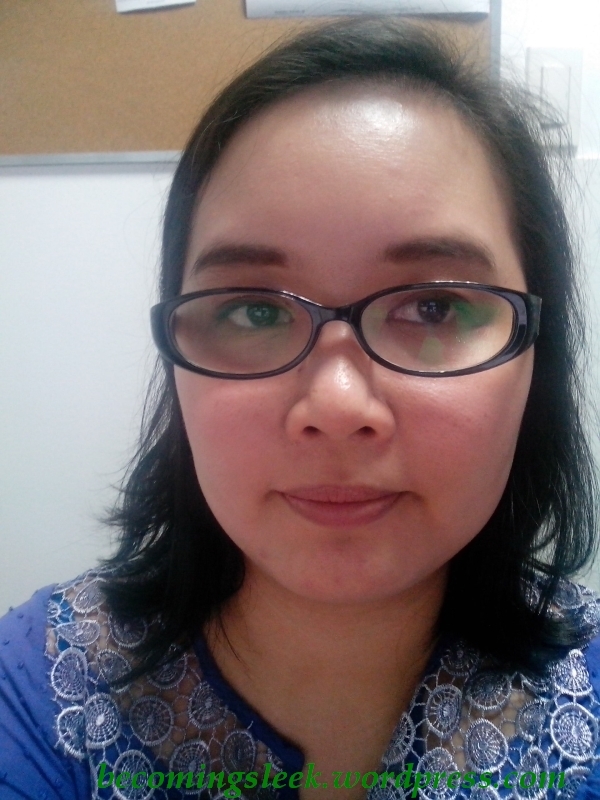 The shimmer is very faint here, which is further obscured by using a setting powder over the BB cream. 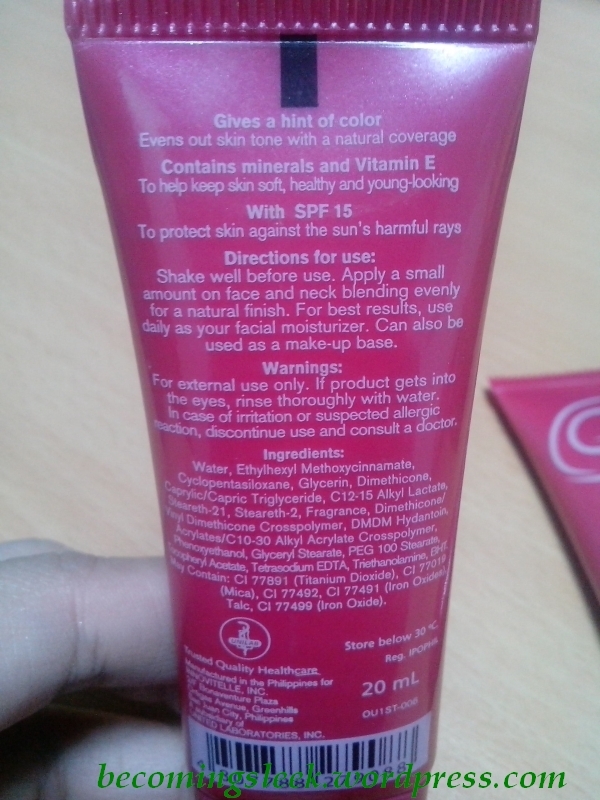 I think that this BB cream is workable, especially for people who will be sitting in an airconditioned office all day. Once out in the heat, though, this melts off pretty quickly and creates a really oily looking surface even with a layer of setting powder. I’m thankful I got the two shades so I can mix them to get my preferred shade. 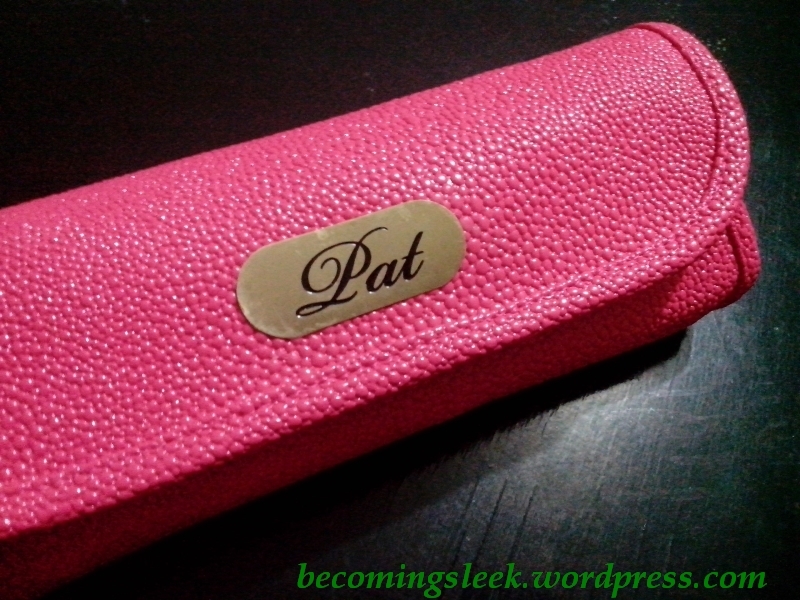 To be honest, I think this is a reformulation of their tinted moisturizer, which I also reviewed previously. You can also watch this Youtube video, where she also uses a combination of the two shades. The BB creams come with an amazing press kit which is a personalized brush set. Thank you Marcie and Myra for these and the opportunity to try the new Myra VitaGlow BB Cream! Disclaimer: Press kit and the two tubes of BB cream was provided to me for editorial purposes. All opinions here are mine, and I was not required to write about it. Were you wearing this earlier today? Your skin looks gorgeous. Do you use more of ivory? For some reason my tube (beige) is shimmer galore. Sadly no, I had Ellana powder foundation on that day, but I did use the Beige shade for concealing my two untimely chin pimples. >_< When I do use them as face base I use equal amounts of Ivory and Beige. The loose powder one? Ang ganda, it looks like skin.